The BHSC Industry Quality Index (IQI) is home security quality index based on proprietary criteria of over 130 home security companies throughout the United States. The IQI components and weightings are determined by BHSC data and are considered to be one of the best representations of the home security industry quality. The current IQI is 413. Companies with indexes higher than 413 are considered to be worse than average while companies with scores lower than 413 are considered to be better. The ranking criteria breakdown on the righthand side of this page represents the industry average of each criterion. For example, $34.16 monthly price is average monthly price home security companies charge for monthly monitoring. Another example is the BBB score. 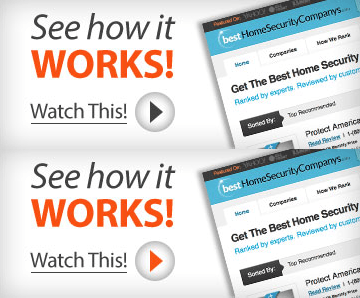 The average home security company touts a B+ BBB rating. Companies who have ratings below a B+ are worse than average while those with a rating higher than a B+ are better than average. The lower the IQI the better while the higher IQI the worse. The BHSC IQI is intended to help consumers and businesses better understand the home security industry climate. We encourage consumers to use the IQI as a means for making smarter and more informed decisions. Likewise, we encourage home security companies to review their company’s IQI and find ways to improve their index score. The average quality index score is 413. Companies that score below 413 are considered to be above* average while those that score over 413 are considered to be below average.